Established in 2009, Taus, Cebulash & Landau, LLP is a New York City based law firm with a strong focus on complex antitrust litigation and consumer protection class action. Taus, Cebulash & Landau, LLP is dedicated to providing the highest quality legal representation to our clients and class members, while working in an environment that inspires collaboration, inventiveness and productivity. Our founding partners have been together for many years. Together we have decades of combined experience in our areas of practice and have performed leadership roles in cases in which hundreds of millions of dollars were recovered for class members. Taus, Cebulash & Landau, LLP attorneys are highly qualified, and are prepared to manage every aspect of complex litigation from investigation and inception through discovery, motion practice and trial. 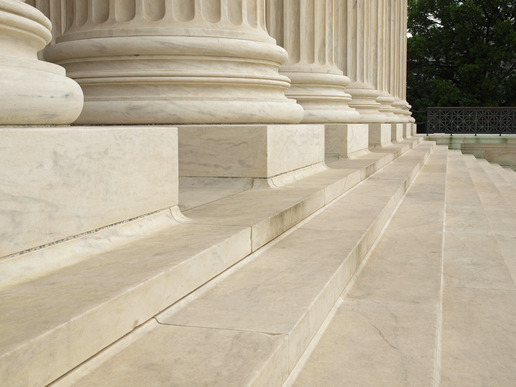 We bring a cooperative, innovative and creative approach to the practice of complex federal litigation for the best representation of individual and class clients. The antitrust laws are designed to protect competition, consumer welfare and the economy as a whole from unfair and anticompetitive trade practices such as price fixing conspiracies, market allocations and tying arrangements, which can lead to higher prices and stifled innovation. Taus, Cebulash & Landau, LLP is and has been involved in over a dozen antitrust class actions in which we represent direct purchasers of pharmaceutical products. In these actions, we allege that brand name drug companies engaged in anticompetitive conduct in order to delay or prevent competition from manufacturers of less expensive generic versions of brand name drugs. Such conduct inflates the cost of prescription drugs for direct purchasers and consumers. In addition, we have been at the forefront of antitrust enforcement, actively involved in the prosecution of antitrust actions in markets including auto parts, cable television services, truck stop services, and contact lenses. We have helped aggrieved purchasers recover hundreds of millions of dollars in overcharges they have incurred by paying inflated prices as a result of such illegal conduct. Consumer protection laws are federal and state statutes that prohibit and regulate deceptive and unfair sales practices in consumer transactions. Taus, Cebulash & Landau, LLP advises consumers whether and how to pursue legal action under consumer protection statutes to stop and obtain compensation for the deceptive practices of large corporations. We have successfully prosecuted consumer class action lawsuits against many of the largest U.S. banks, financial service companies, and corporations. Working with co-counsel, we have achieved judgments and settlements in excess of $100 million for consumers in these cases.